3D rendering of the toy. 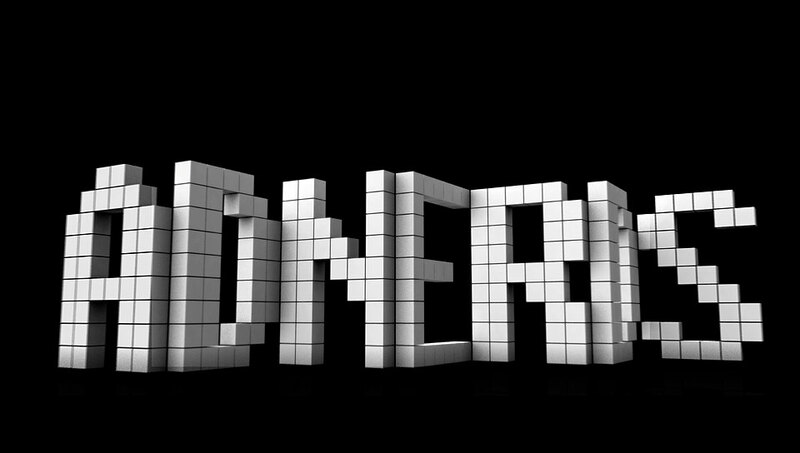 For the previous version of the Adnerds' identity I made a series of 3D typographical animations. For an ongoing process to rejuvenate Proximity's corporate identity, the Adnerds approached me and colleague Matthias Crommelinck to conceive a so-called "leave-behind"; A nifty toy or gadget that could be given to clients during pitches, to serve as a reminder/goodwill gesture. Under Jan Algoed's direction, we designed a series of plastic toys. 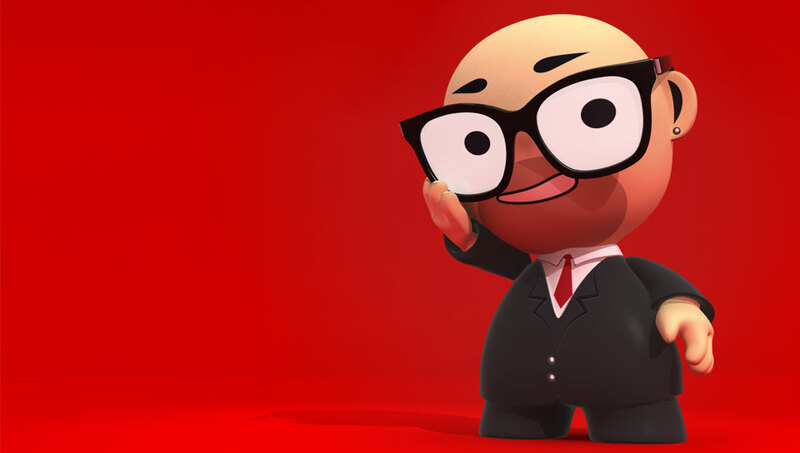 For Adnerds presentations I also made several 3D animations using the character model. The real toy is now in development and should be in production soon.